The Panasonic was favoured because of its 2-in-1 design, its ease of use and light weight, as well as the variety of ports available. 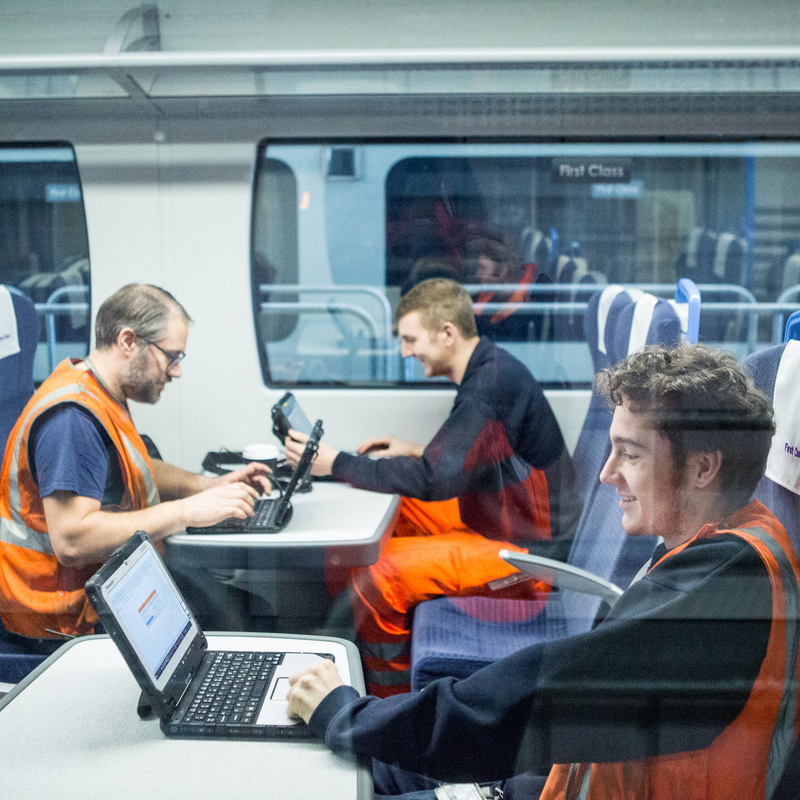 A rugged mobile computing for maintenance engineers to: •	Connect to train systems. •	Provide online access to Siemens' Management Maintenance System. •	Provide access to Vehicle Maintenance Instructions (VMI). 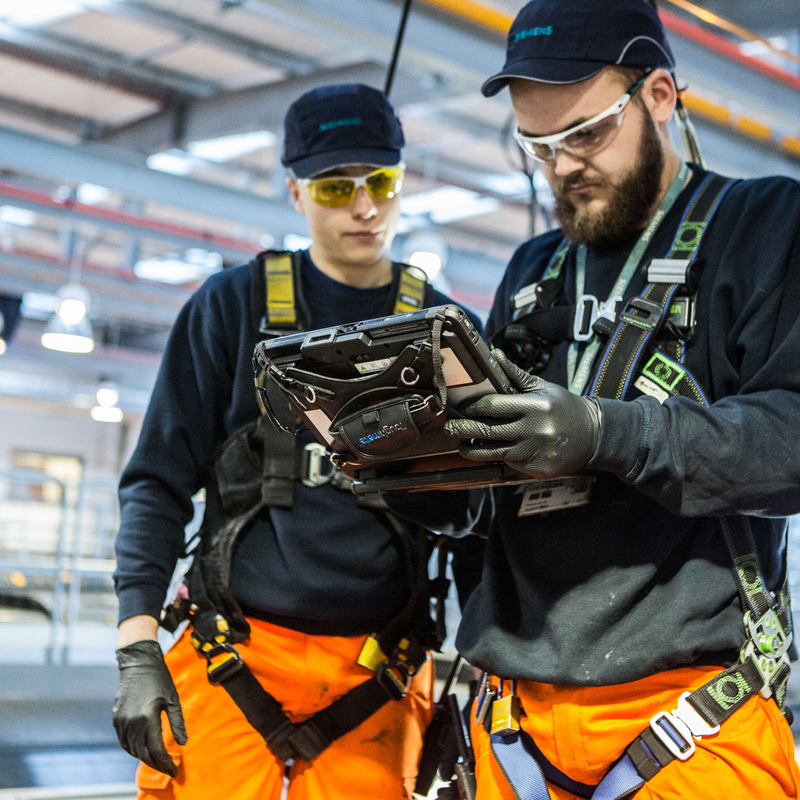 The Rolling Stock Business of Siemens Mobility Ltd has issued its 550 train maintenance engineers with rugged Panasonic TOUGHBOOK 20 detachable mobile computers at 11 train maintenance depots across the UK. The devices, which help the Siemens business take a major step towards a paperless work environment, will be used by engineers for train diagnostics, maintenance, employee communication and health and safety compliance. Siemens believes the additional data and timely information captured by using the Panasonic devices will improve maintenance turn-around times and ultimately improve train availability. Connect to train systems for diagnosis and software upgrades. Provide online access to Siemens' Management Maintenance System for work order management and real-time parts exchange tracking at depots and outstations. Provide access to Vehicle Maintenance Instructions (VMI) and the electronic schematics of trains. Give workers access to Siemens' corporate applications, including email and the Employee Service Portal, as well as a device to use for health and safety applications, such as 4 Steps to Zero Harm. Being able to work closely with Panasonic to adapt the device for use specifically in the Siemens work environment was also very important. Panasonic integrated a smartcard reader into every device for Siemens employees to use their standard corporate login protocols. The Panasonic design team also adapted the rotating hand straps on the device to incorporate the smartcard reader and added shoulder straps to support workers following a Human Factor Work Assessment carried out by Siemens. Docking stations for the units have been installed to enable teams to see detailed schematics more clearly on bigger screens when necessary. Panasonic also advised on optimising the devices for use with Siemens chosen operating system and device image. In day-to-day operation Panasonic also supports with a 96-hour repair or replace service in place with ATOS, Siemens’ global IT service provider. The Panasonic TOUGHBOOK 20 delivers a new level of unrivalled versatility for mobile business computing as the first fully rugged detachable notebook. Offering the best of all worlds for mobile workers, the TOUGHBOOK can be used in 6 different modes to meet every business need. With its glove enabled touchscreen, up to 20 hour, hot-swappable battery life and purpose-built Vehicle Mount and Desktop Port Replicator, the Panasonic TOUGHBOOK 20 is an unrivalled mobile business machine.